Our Stop the Cycle program serves orphan parents and their kids. 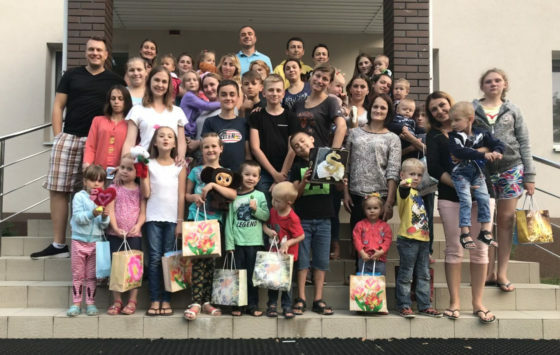 These moms (and a few dads) grew up in neglectful, abusive families, then in an orphanage; no one taught them how to have a healthy, loving family. Year-round, we provide parenting classes and lots of practical support. But family camp each summer gives our Stop the Cycle groups a special, intimate setting where we can learn and play together. Families enter the Stop the Cycle program on a rolling basis and stay officially for roughly three years, depending on their individual needs. In 2016, we “graduated” our first Stop the Cycle cohort, and on August 25, 2018 we graduated our second group! After graduation, families continue to be a part of our close-knit community. 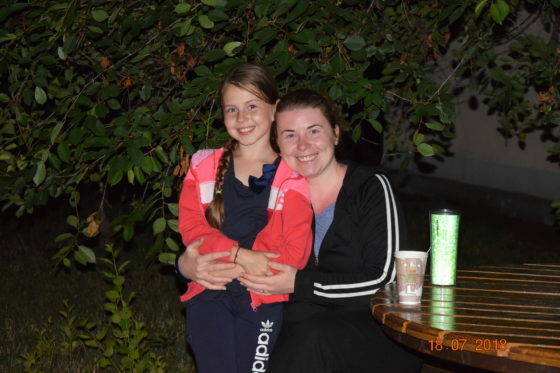 The families who graduated this year have older children, and we took them camping by the sea. The director of Stop the Cycle, Oksana Pankeyeyva, shared that they talked a lot about God, church, and the Bible. Moms and dads were engaged with every conversation. 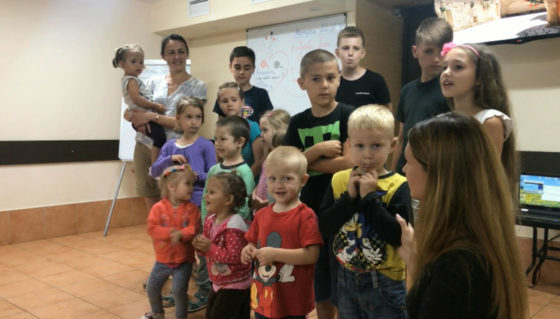 When Oksana asked them questions about childcare, they always answered well, remembering everything they had been taught in Stop the Cycle meetings for the past three years. They’d kept our parenting lessons in their hearts! Anya Hrobust, who recently became a practicing doctor, went with us. Kiril Volinets came with his niece, Sophia; Kiril’s sister Vika is working in Poland and Kiril is caring for Sophia in her absence. 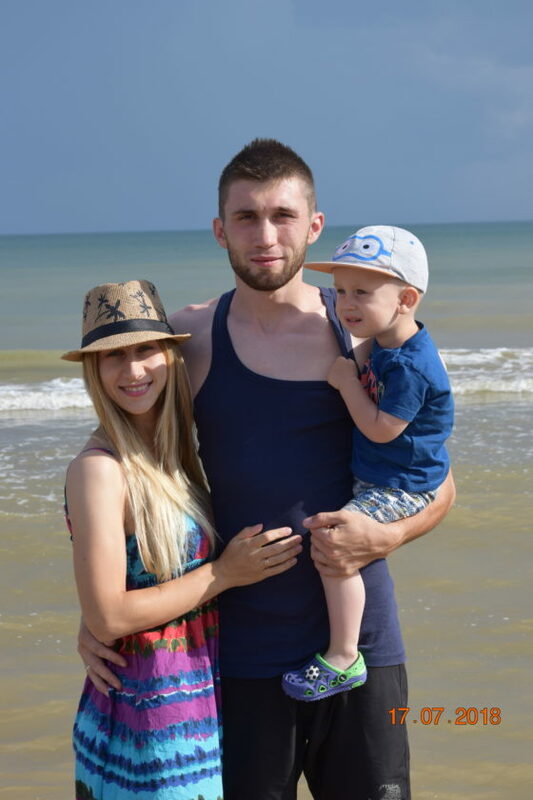 Maxim came with his sister, Olya. He’s active at the Day Center and often volunteers. 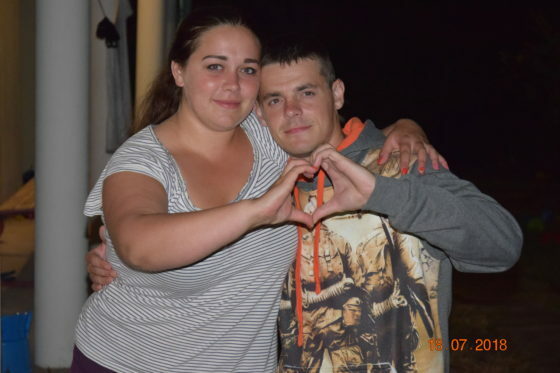 We saw a remarkable transformation in one young couple, Olga and Alexander. Olga grew up in a “home of family type,” like foster care, with Christians. But she left, and began studying away from her parents and church for many years. She got pregnant and married. There were Christians in the village where she and her husband lived, but her husband was adamantly against all Christians. 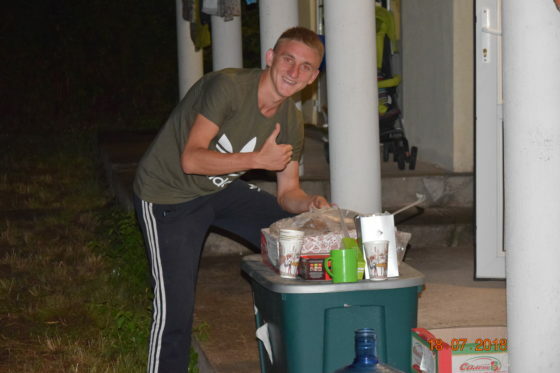 It was a miracle that he agreed to go camping at the sea with us! For the first few days he watched everyone very carefully. But after that he opened up and asked questions. 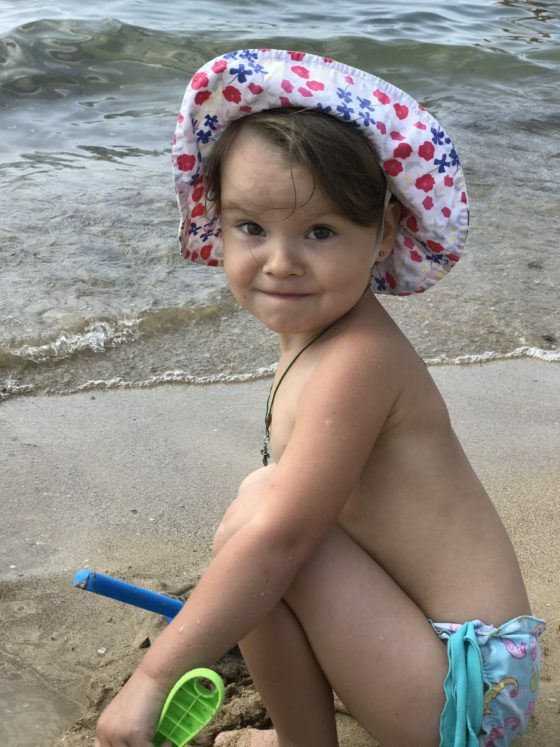 At camp, Olga made a decision to renew her connection with her foster parents. At the Stop the Cycle graduation, Oksana confirmed with her that she had, indeed, called her parents for the first time in many years. This group graduated on Saturday, August 25, 2018. 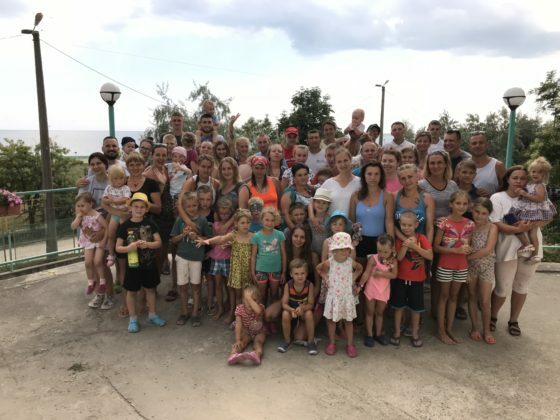 Our younger group, with babies and smaller children, camped in the Zhytomyr region at a beautiful Christian campground that belongs to Word of Love Church. Oksana reports that it was restful for everyone – they enjoyed the forest, swimming pool, and sauna. It was renewing physically and spiritually; all the moms were open-hearted and ready to learn. 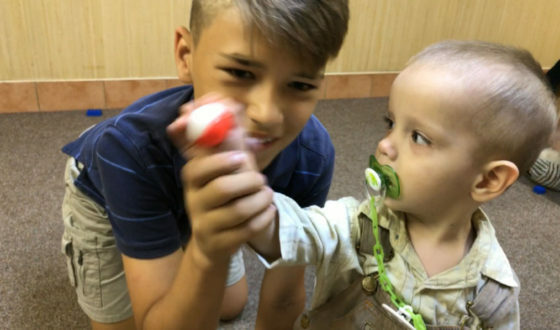 Four of our staff members’ kids volunteered with the small children and babies: Maggie Pankyeyeva, Daniel Pankyeyev, Daniel Yaroshuk, and Matthew Cherniy. The three boys are twelve years old. This year, our staff paid half the cost of taking their own kids. So it was like a family vacation together with our orphanage graduate moms. Now that our older group has graduated, the younger group will be split into two new groups so that each family gets the level of support they need. Thank you again to everyone who has prayed for and donated toward summer camps. Your support has helped begin a transformation in these young families who are so precious to God!